Thanks for posting these Chris ...... you are starting to change my mind regarding oil change intervals although that would certainly hurt my business. What is one of those oil sample reports worth over there? The biggest concern i have regarding extended oil change intervals is a history of seeing used Jap Imports (or lazy kiwi car owners) that don't have regular servicing coming though the shop with sludged up engines. depending on where you have a sample done its between 25 and 35. 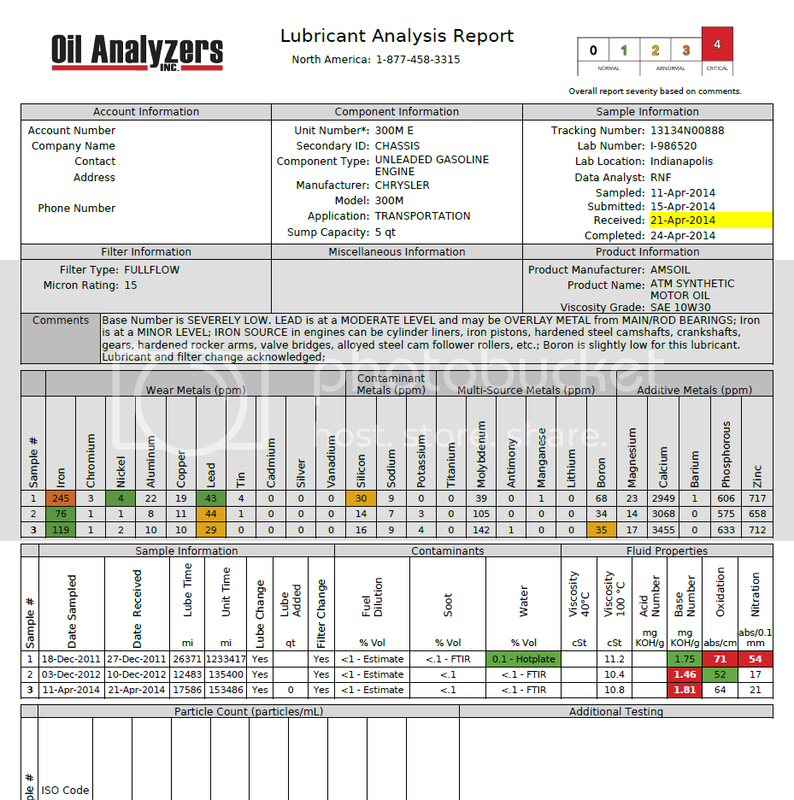 Amsoil and Oil Analyzers actuay just came out with a basic kit that shows bare bones of the test. its 14$, but doesn't show much IMO. what's your main focus of the business. cause if repair side of things I've seen offering extended drain intervals with the right oil, help grow a faith from customers saying "look they aren't trying to nickle and dime me, I'll take theyre repair suggestions serious, and have them do it." and yeah that's the only issue I'd know of in a marker like yalls, poor previous owner maintenance. its worse there than here, and its pretty bad here..
94 F250 7.3 Powerstroke ZF-5. Not to hijack...but I've been saying/doing that for years...the handful of UOA's I've done with other oils ALWAYS supported a 10,000 mile interval. I'm pretty stoked to see what the Amsoil results are, being that the grade I use is rated for a 10k interval. We live in a society that keeps finding answers to problems people never knew they had. I bow my head to Jesus, stand for my family, love only one woman, and am always proud of what I have. Standing by my gun and Bible since 1986. 10k mile intervals are definitely capable of being done. key thing is what oil you use. but things a lot of people don't look at is shearing, and also diminishing of add pack that far in a run.. most brands shear, and also burn off the add pack..
a 150k+ mile Chrysler 300M. Slightly High wear metals. but look at the mileages on the Drain intervals!! and TBN of 1.0 or lower is too low. Oil Analyzers lab freaks about 2.0, but blackstone always says 1.0. Why was boron flagged at 35, when it was not flagged at 34 the previous month? Can you request a copy of the QC samples that were run with your unknown samples? that's a good question. that I did not notice this before. I'll see if I can get an answer on it. Boron can either be a potential contaminant or as a substitute for phosphorus as an additive, since phosphorous is hard on catalytic converters. Sodium Borate is an additive in glycol for a corrosion inhibitor. I guess the water content would also verify boron as a contaminant.